Neuroplasticity has become a buzzword, but it is a process that Moshe Feldenkrais predicted and, in fact, made the basis of his method. We will explore some of the current understandings of how the brain responds to challenges like injury and pathology and how we as individuals can harness our learning capacity (neuroplasticity) to drive better recovery. 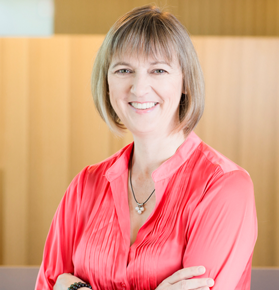 Professor Susan Hillier teaches and researches in the area of neuroscience and rehabilitation. Her particular interest is working with people who have sustained neurological injury–investigating ways of supporting their recovery. In particular, she is interested in the role of improving feedback to improve movement quality. This includes how we can learn to be more aware of the key information from our environment, our peers and from our own bodies in order to make better decisions in our behavior–movement or otherwise.